Reports of Yesha Council taking 80% of building freeze compensation money will quickly be proven false, local leaders say. Finance Minister Yair Lapid’s decision to cut off funding for Israeli local councils in Judea and Samaria is not cause for concern, Yesha Council head Avi Roeh said Sunday, speaking to IDF Radio (Galei Tzahal). Lapid ordered money transfers to Judea and Samaria stopped following a report on Channel 2 according to which compensation money sent to the region has been “illegally” transferred to the region’s Yesha Council. “Minister Yair Lapid saw it fitting to respond the way he did. We think it is fine to investigate, to examine, to clarify. In the end, the mountain will turn out to be a molehill,” Roeh said. He confirmed that some funding did indeed make its way to the Yesha Council, but said the reporter who claimed 80% of the money went to the council had it backward. “It’s the opposite, 80 percent stayed in local communities, and 20 percent went to the Yesha Council,” he explained. Transferring money to the Yesha Council is completely legal and above-board, he added. The Yesha Council is a legal organization, he said, and local municipalities agree to help fun it because it represents their interests. "We represent all of the municipal authorities, and fight for all of them opposite government ministries,” he said. It has long been the norm for local authorities to pay dues to the Yesha Council, he said, noting that as head of the Binyamin regional council his region, too, shared a percentage of its funding with the council. The issue has been raised in court before, he noted, and courts have ruled that local authorities can give the Yesha Council a percentage of compensation money. Local authorities transfer funds by choice, he added. “The Yesha Council cannot twist anyone’s arm,” he explained. 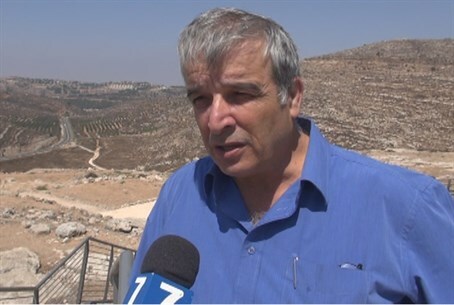 Channel 2 journalist Amnon Abramovich claimed in his report that the transfer of compensation money from local authorities to the Yesha Council was illegal, and that the Yesha Council’s use of the money included political campaigns opposing government policy. The Yesha Council opposes the forced expulsion of Israelis from Judea and Samaria, and has campaigned in favor of standing up to American pressure to withdraw from the Jordan Valley and divide Jerusalem.